Today I am handing control over to the amazing Jan Lewis who most of you probably know from Adventures in Children's and YA Publishing. Take it away, Jan! When Lisa first asked me to guest post, I jumped at the chance. Then, I was like "uh-oh". I've never done a guest post before and had NO idea what to write about. Then my friend Martina reminded me that I should write what I know. So what do I know? Spreadsheets. I am the spreadsheet queen. I use them for anything and everything. So, today I'm going to share with you a couple of ways that I use spreadsheets. 1. Blog Organization The most important way I use spreadsheets is to organize things for Adventures in YA Publishing. As the Scheduling and Contest Coordinator (sounds official, right? ), I use spreadsheets on a daily basis to keep myself organized. The blog post schedule has its own spreadsheet with monthly tabs, so when I'm trying to schedule a new author, I can find our availability quickly. I keep the contact info for each scheduled author on the spreadsheet as well, so if I need to send a reminder email, I don't have to go looking through the inbox for it. I also have a spreadsheet where I keep track on Agent contact info and records of past participation for our agent round-up posts and contests. Again, this is way easier for me than weeding through emails, websites, and blog posts to find what I need. 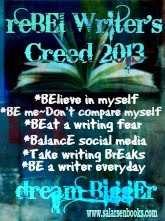 I hope that you can use these ideas to make your writing life simpler and more organized. I'll be posting more spreadsheet ideas on Adventures in YA Publishing in the next few months, so be sure to keep an eye out! If you have any questions, please ask in the comments, and I will definitely answer to the best of my ability. 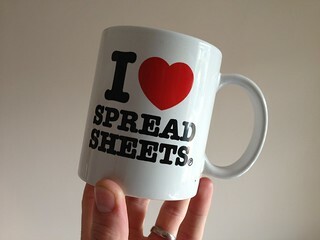 Or if you have a use for spreadsheets that I didn't mention, please tell us about it. I'm always looking for new ways to use them! 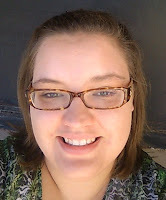 Bio: Jan Lewis is the Scheduling and Contest Coordinator at Adventures in YA Publishing. 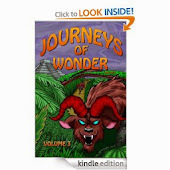 She writes YA fantasy of the contemporary and traditional varieties. Instead of unpublished, she prefers to call herself pre-published. While she enjoys drafting, her heart is truly in rewriting and editing. In the past, she may or may not have been called a "Grammar Nazi." She loves spreadsheets, ladybugs, fairies, blue roses, cats, musical theater, and pretty much all things geek. She lives in Oklahoma with a husband, two kids, two cats, a dog, and a mother. You can find Jan on Twitter at @janlewis77. OOOH, two of my favorite people n one place!!!!!! Love it. And I love that you all get to meet Jan and her magic spreadsheets. There is NO WAY I could keep the blog running without Jan, and as busy as my schedule is going to be in the next months, I would have been doing something drastic without her. She is amazing.! Give her a huge hug, y'all! She deserves it! Especially love the spread sheet for querying. My method so far is notes on notebook paper -- and it's kinda messy. I love spreadsheets. Without them I get nothing accomplished. Great post. I'm another big fan of spreadsheets! Another one of my favourite usages is my series bible - so many details to keep track of! Love these ideas! I have one to add: writing expenses can be deducted at tax time, and spreadsheets help. There are some restrictions to this, so everyone should check with their tax guy. I think you have to earn "some" writing income before writing this stuff off. Anyway, I keep a spreadsheet with my household utility costs, which are then totaled up and given to my tax guy when the time comes. Examples? Heating, electrical, phone, Internet. On my agent/query tracking sheet I have a Date Submitted column and a Date Rejected column, along with a DTR column, or Days to Rejection. I make it a goal to have each novel rejected by no fewer than 30 agents within a three week period. I love Eric Trant's comment above with his extra Days to Rejection column! I use spreadsheets all the time at work but I could see them being useful for writing too! How Important is the Writing Itself? Lisa Desrochers is My Guest AGAIN!